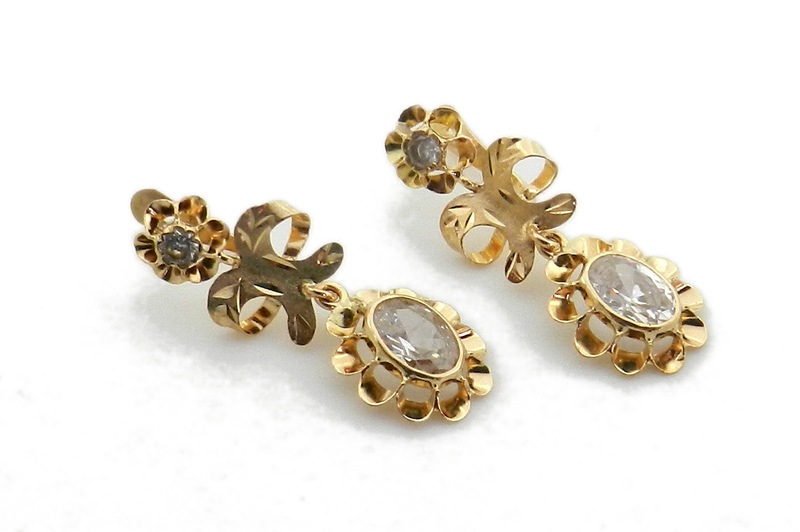 EARRINGS gold 18 KTES carved bow Cuban. WEIGHT. 3.25 g length 30 mm.